In the 1960's, there was a plan to build freeways that would have cut across the near east suburbs. But those plans were halted. In this story, part of our Divided by Design series, where we’ve been looking at the events that helped shape where people live in Cleveland, the history of the Freeway Fights and what it takes to save a neighborhood in Cleveland. In 1956, the federal government committed to building 41,000 miles of interstate highways. States were given control over the details of the routes in their regions. In Cleveland, a plan developed for a network of freeways on the city’s East Side. “Which would have meant really slicing and dicing Cleveland Heights and Shaker Heights and the other, East Cleveland, Euclid, the communities that are along that right of way," says Lauren Pacini, a local historian who wrote a book about the fight against those freeways. Pacini says Cuyahoga County’s powerful engineer, Albert Porter, came up with the plan for the East Side freeways - the Clark Freeway, the Lee Freeway, the Heights Freeway, and the Central Freeway. And Pacini says Porter was in a position to get what he wanted. “And so what the engineers did was they looked at the maps and they looked for empty space. 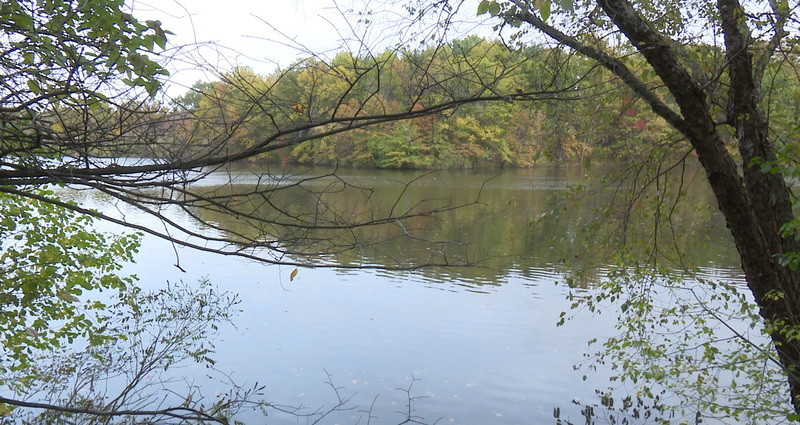 And on a map, the Shaker Lakes, for example, were empty space," says Pacini. Standing beside Shaker’s Horseshoe Lake, the landscape has stayed undeveloped because the plan to build a freeway here never happened. “None of this would have been here," says Kay Carlson, executive director of the Nature Center at Shaker Lakes. "The parklands would have been decimated. Many homes in this area would have been decimated or ruined." In the 1800's, the North Union Shaker Community donated the lakes and the parklands surrounding them to the City of Cleveland, with the restriction that they remain public parks. In 1963, Porter released plans to build the Clark Freeway – connecting I-271 in the east with 490 on its western end. It called for tearing down 80 Shaker Heights homes and building over the lakes. Residents lined up in opposition. Carlson says right at the center was a group of about 30 local garden clubs. That began seven years of writing letters, organizing meetings, traveling to Washington, DC, to lobby lawmakers, and devising strategies to protect the parklands. They built the nature center building, right under what would have been the Clark and Lee Freeway interchange. Those little ladies in tennis shoes eventually had the area recognized as a National Environmental Education Landmark, a designation that didn’t exist when their campaign started. In 1970, the Republican Governor James Rhodes was running for U.S. Senate and Shaker Heights was a stop on the Republican fundraising circuit. He took the freeway off the list of state-approved projects. Author Lauren Pacini says it took people with means and time for this sort of advocacy. “They did it themselves," says Pacini. "And that is probably why it was possible to do it. They could afford to do these things out of their own pockets." 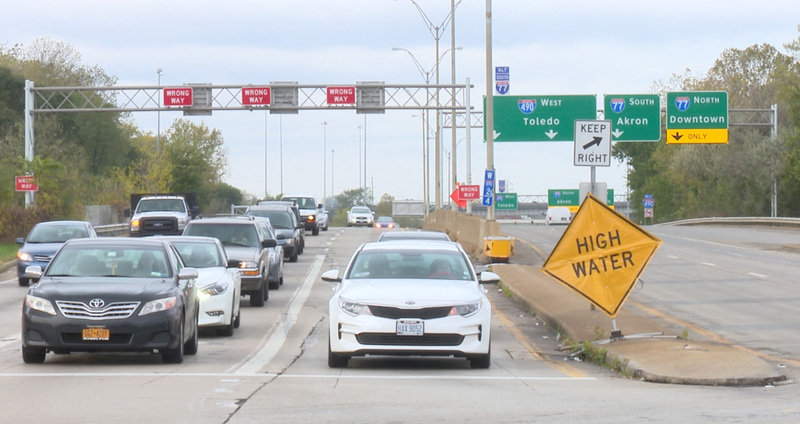 Low-income Clevelanders on the city’s East Side didn’t have that luxury, and it took more than residents’ opposition to stop the freeway project. Just to the west of Shaker Heights, Larchmere is now a neighborhood of small businesses, restaurants and single family homes. The Clark Freeway plan would have demolished 800 homes in Cleveland and neighborhoods like Larchmere would never have had a chance. “I think that's why Carl Stokes was raising so many concerns, because they're looking at upwards of 20,000 residents in Cleveland that would be displaced by the highway construction," says Brad Masi, a documentary filmmaker, making a movie about the freeway fights. Carl Stokes was elected mayor of Cleveland in 1967, the first black mayor of a major US city. And Masi says the city quickly changed its stance on freeways. “I think he recognized that stopping the Clark Freeway wouldn't stop suburbanization but I think he was really unlike any of his predecessors starting to acknowledge maybe these highways aren't the best thing for the city," says Masi. So in 1968 Stokes went to the the Northeast Ohio Areawide Coordinating Agency – or NOACA – which oversaw regional transportation projects. He lobbied for a delay to the freeways. NOACA approved them anyway. Then Stokes went to the Department of Housing and Urban Development to lobby for more representation for Cleveland on the agency’s board. “HUD basically decertified NOACA because they didn't feel like they were adequately considering the costs the highway would have on African American neighborhoods," says Masi. And now, 50 years later, another road project, this one called the Opportunity Corridor, intends to connect a growing part of the east side to I-490. The $330 million road is a 35-mile-an-hour, 3-mile-long boulevard, not a freeway. It connects University Circle to the 490 stub at East 55th Street that was reserved for the Clark Freeway. “First and foremost, the objective of the project was to move folks from University Circle to 490," says Jacqueline Gillon, community organizer who lives in Slavic Village, near the road's connection to 490. "They’re satisfying that. But that’s not enough." Gillon attends Elizabeth Baptist Church in the Hyacinth neighborhood. Seventy homes in this neighborhood will be demolished to make way for the Opportunity Corridor. 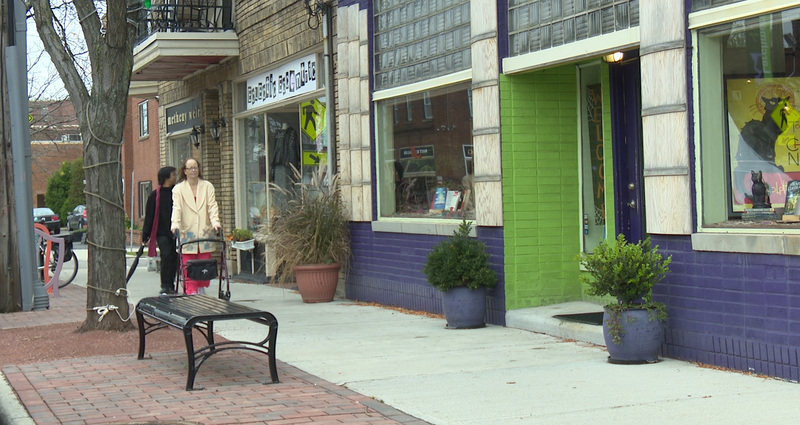 Gillon says the city has worked hard to make the project about local jobs and business development in the long-neglected African American neighborhoods along its route. And there have been meetings with community members going back ten years. But, says Gillon, Hyacinth won’t come away unscathed. “There are people that are driving cars from other parts of Cuyahoga County that worship here that support businesses here, have families that live here, what’s that going to look like for them?” asks Gillon. Part of the plan to connect the Corridor with 490 is to change access to the Hyacinth neighborhood from East 55th. It’s not clear what that’ll mean and Gillon says they’ve been lobbying to keep the road they use now open. This is the last phase of the project, possibly years away from completion, so Gillon says they haven’t given up yet. Gillon says she believes residents can convince the governor to listen and make changes to this part of the route.